Summary (snagged from Goodreads): In her best-selling book Bad Girls of the Bible, Liz Curtis Higgs breathed new life into ancient stories depicting eight of the most infamous women in scriptural history, from Jezebel to Delilah. Biblically sound and cutting-edge fresh, Bad Girls already has helped thousands of women experience God's grace anew by learning more about our nefarious sisters. What I Loved: I was so excited when I saw that this book was up for review, for one, because I had been wanting to read a Liz Curtis Higgs book for quite some time now, and two, because I discovered that it was a "novel approach to bible study" which intrigued me. I was not disappointed one bit with my review choice, lemme tell ya! Liz Curtis Higgs' novel approach to biblical study was flawless among her cast of flaw-filled women that she introduces us to in the book. Each chapter opens up with a novel-esque tone (which I thought to be brilliant! ), painting a picture for you of a "real life" fictional woman counterpart of the biblical "bad girl" that is later on revealed about halfway through each chapter. The questions at the end of each chapter were really helpful and thought provoking too, and overall the novel approach to biblical study really grabbed a hold of my attention and just wouldn't let go. It was a fabulous "bad-girl" read, full of wisdom and grace for the modern good-girl, former-bad-girl or bad-girl! Wow. I learned soooo much about these "bad girls," some of which I'd never remembered ever hearing about before. This whole book really made me think on a much more deeper level about grace and forgiveness and femininity than I ever have before. It is truly amazing to me how God can use us (women), even those of us who feel we have no hope right now, as we are, if we will only let him use our brokenness. God used each one of these eight women to show me a clearly defined picture of how I should (and could/can) live my life out better and bolder and more flawlessly than ever before for Him. What I Didn't Like So Much: That I didn't manage to snag the whole Bad Girls of the Bible series all at once. 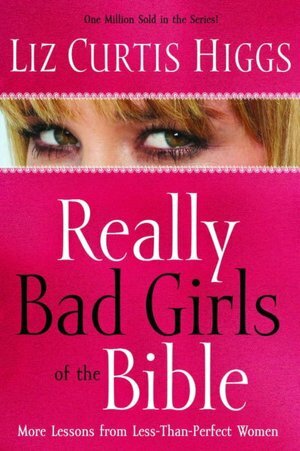 Immediately after I put down RBGotB I just knew that I had to get my hands on Slightly Bad Girls of the Bible and Bad Girls of the Bible a.s.a.p.! I'm Recommending This Book... This was such a wonderful book! Highlighting and declaring our flawless God as The Father of those many broken "bad girls" who were filled with a myriad of flaws from the Bible and even nowadays. If you are a woman seeking out His grace and love and even hope then this book is a must-read for you! You will truly learn much, and you will be truly blessed much! About The Author: An award winning speaker, Liz Curtis Higgs has addressed audiences from more than 1,500 platforms in all fifty states and eight foreign countries. 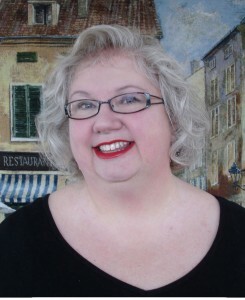 She is the author of twenty-six books, with more than three million copies in print, including her best-selling nonfiction books, Slightly Bad Girls of the Bible, Bad Girls of the Bible, and Really Bad Girls of the Bible; and her best-selling historical fiction, Thorn In My Heart; Fair Is The Rose; Whence Came A Prince, a 2006 Christy Award winner; and Grace in Thine Eyes, listed in the Top Five Best Christian Fiction for 2006 by Library Journal. Ah, thanks! Heading over to check out your blog and the nomination right now.